A classic jacket that combines wool and cashmere, decorated with a pennant RC on the front left with a twist 'Old School'. This black jacket for men is closed at center front with buttons. 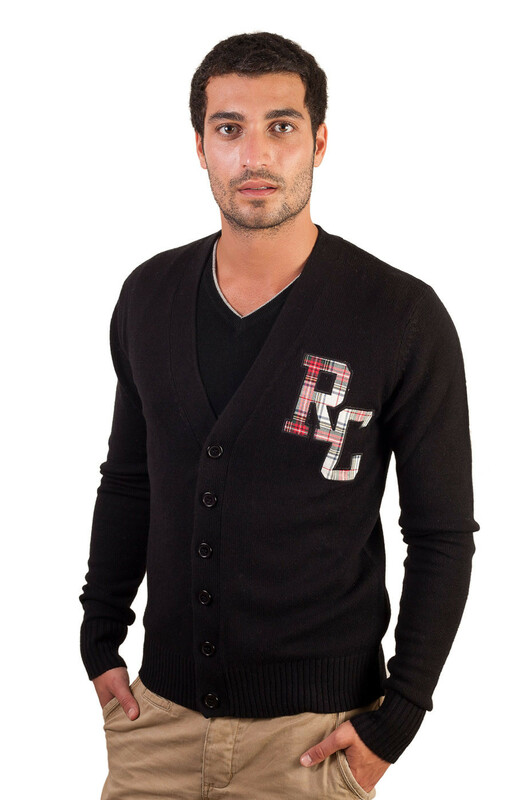 The deep V neck will wear this black vest brand REBEL CASHMERE on a shirt or T-shirt.